Lucky Kite Zanzibar is looking for two motivated certifyed IKO or VDWS kiteinstructors for the coming 2019 season starting mid of June to end of September. We are based in Jambiani 7 km south of Paje in one of the easiest beginner spots of the world. 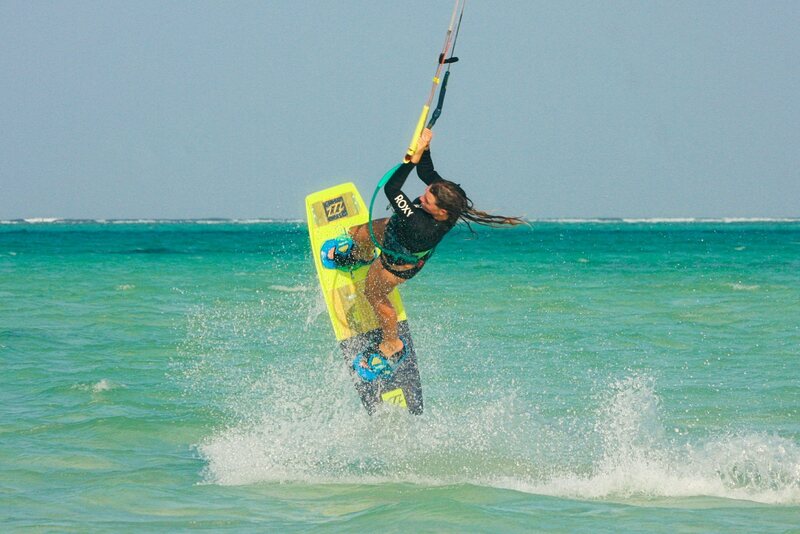 We teach on the newest Duotone Kiteboarding gear in groups of normaly max 2 persons. If you are a fun easy going and pro active and organized person don`t wait to apply for your position in a great team. We pay good commissions, your work visa and accomondation in a nice house right on the beach. You should be able to teach fluent in English – all othe languages like German, French or Italiean will be a plus as well being a multimaedia talent in Photo and Video for our social media.